BMW Motorrad celebrates the last year in illustration with the help of Mill+ creative director Carl Addy. 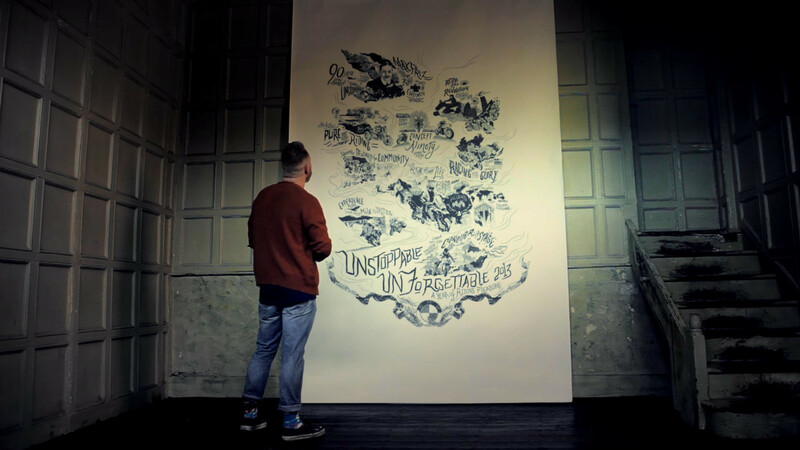 This film, for BMW Motorrad Germany, features Mill+ creative director Carl Addy depicting a year in review of the famous motorbiking company through artwork. The retrospective Carl created reflects products, events and points of interest in the last year for BMW Motorrad. We see the action cut from him illustrating the piece, to live action sequences of bikers riding through sunsetting landscapes. Not only did Carl both design direct, star in and create the content for the piece, he also composed and performed the music it is set to. Once fans and clients of Motorrad have watched the film online, they are able to personalise Carl's illustration and have their own poster version of this impressive and striking retrospective.